Issues with Stormwater and/or Ditches? Following Charleston County’s lead, all JIPSD offices will be closed Thursday, October 11th due to hazardous weather conditions. Solid Waste Service crews will work diligently to collect what debris they can before closing today. Thursday customers will get Roll-Cart Garbage Service on FRIDAY. Remaining Yard Debris and Bulk Items (within ordinance limits) will be picked up on the regular schedule next week. Please check our website and social media sites for up-to-date information. The JIPSD apologizes, but due to the projected rain and winds expected Thursday, the annual Community Services Event is being postponed. We will be rescheduling the event so that our community can come out and enjoy seeing all the wonderful people and equipment that help serve them. As soon as a date and time is set, we will inform everyone. We apologize again, but feel this is in the best interest and safety of the people we serve. Stay tuned however! JIPSD associates donated 119 lbs. 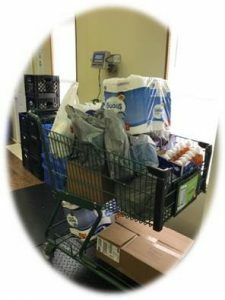 of food and personal hygiene products to the JI Outreach for its 3rd quarter of 2018! Every donation counts and every donation is appreciated. We encourage the community to help support this local James Island nonprofit organization. Visit http://jioutreach.org/ for more information.